With a slow spring warm up, seeing 55 on the graph was a welcomed surprise. From the trips that we have had in the boat so far this spring, nothing else has matched up or even come close. Even though the water was warm, finding the fish was difficult. We fished every bit of water that we have located fish at and nothing. Not even a bite. Over the course of a few hours, the water warmed only slightly. Not having much for luck, we packed up and headed elsewhere. Arriving at our destination, we headed towards the shallows working slowly in hoping to stumble on the fish and they moved in. There was not much happening but we kept at it. 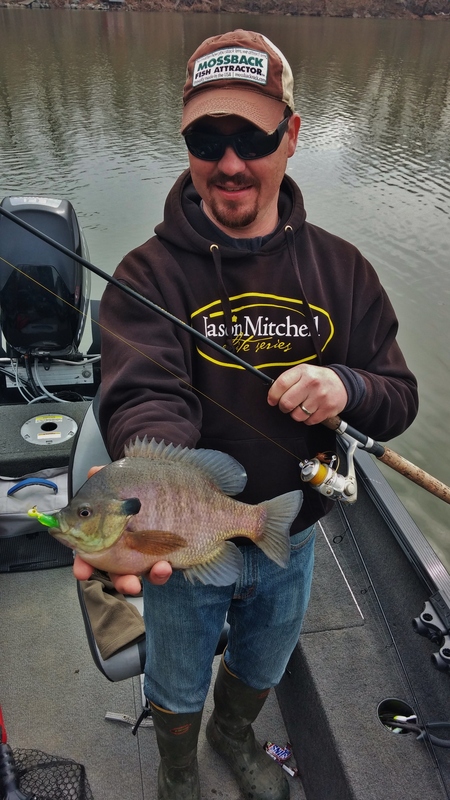 Eventually, we found some bluegills in 4-5 feet of water. They were not present in numbers but the action was more than welcomed. 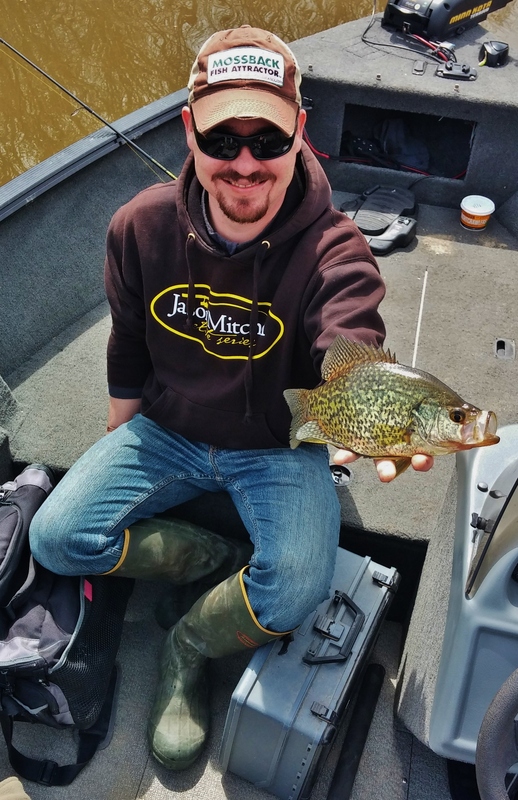 As we kept tip toeing in shallow, a few crappie were busting at the surface. We sat still for a bit and then got to catching. The fish were skittish in the clear, shallow water we we did our best to minimize movement and sound. The day wasn’t spectacular but it was good to see things actually heading in the right direction! Hmmm, I fished yesterday, couldn’t find a single sunnie. Nice to hear I’m not the only one. It’s been a whacky spring Dave but they are really coming into it now!